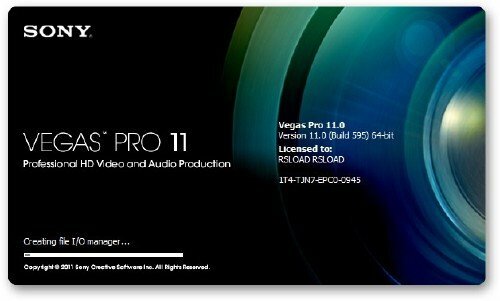 Vegas PRO - самое полное издание видеоредактора Sony Vegas. Все остальное - урезанные версии. GPU-accelerated video processing (please see System Requirements for information about supported hardware). New Titles & Text plug-in. Improved usability for the ProType Titler. Added a new Star Wipe transition. Added a new Radial Pixelate video plug-in. Added per-parameter keyframes for many video plug-ins. The Transitions, Video FX, Media Generators, and (new) Compositors windows all include folders to group plug-ins and a search box to help you find plug-ins easily. The Stabilize plug-in has been simplified and improved. Added a Stereoscopic 3D depth control to the Cookie Cutter effect, as well as Cross Effect and Iris transitions. Support for NVIDIA 3D Vision on single-display systems using the Windows Graphics Card device (available in Preferences > Preview Device). Event Pan/Crop is now integrated into the Video Event FX dialog. Improved usability for the Mixing Console. A simplified Master Bus window provides you with a streamlined view of your project's master output. An updated Render As dialog streamlines the rendering process and makes it easy to manage your favorite render templates. Added MP4 templates for Internet distribution. Added an Enable progressive download check box to the Video tab of the Custom Settings dialog to allow your videos to begin playing during download. Added support for GPU-accelerated rendering. Added support for RED EPIC® clips. Fixed an error message that would appear when writing to theSony XDCAM Professional Media Station (XDS) internal drive from Vegas.